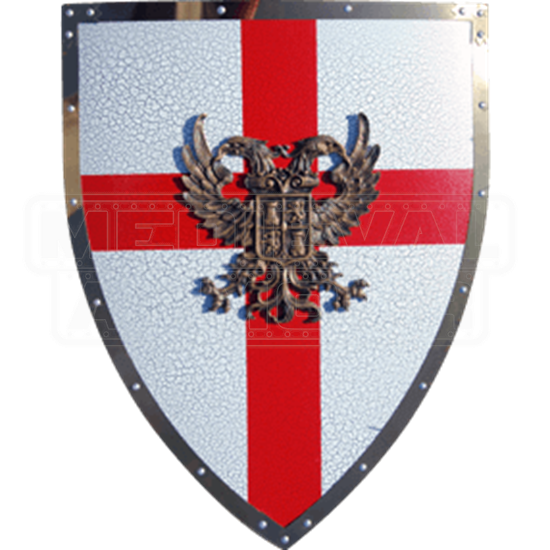 The Charles V Shield is a great decorative shield to add to your medieval themed home or office. 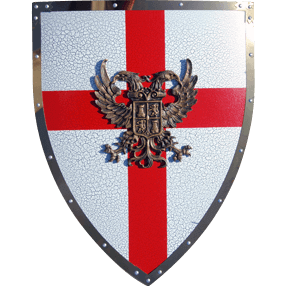 This shield is made of steel and features a white background with a red cross. The Charles V Shield features the seal of Charles V of Spain.